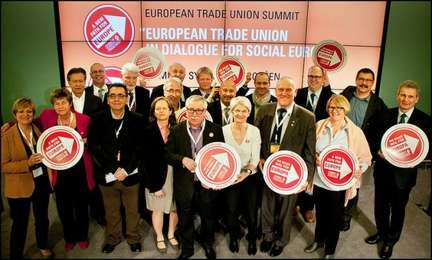 TUC President Mohammad Taj spoke today (19 March) at the European Trade Union Confederation (ETUC) summit on the future of Europe, ahead of the leaders' summit in Brussels next week. He addressed the British Government's resistance to freedom of movement, and set out the trade union case for migration based on justice, fairness and equal treatment. "A European Union which only provides freedom for goods, services and capital is a bosses' and bankers' Europe, not a people's Europe!" He called for more rights at work such as cracking down on zero hours contracts and illegal under-payment, as well as calling for action against loopholes on agency work and housing.